A growing memorial now sits where a man was gunned down in Durham, in the very neighborhood he was trying to make safer. DURHAM (WTVD) -- A growing memorial now sits where a man was gunned down in Durham - in the very neighborhood he was trying to make safer. Fred Edgerton, or Mr. Fred as he was so fondly known, was murdered Monday morning. Durham police say they got the call of a shooting around 8:40 a.m. When they arrived on scene, police found Edgerton lying in the parking lot. He died on scene. Twenty-four hours later, a memorial of balloons, candles and flowers mark the spot. There are even a few bottles of Pepsi, something those who knew him best say he loved to drink. Edgerton, 52, was the apartment manager at Oakland Square Apartments, located in the 1800 block of Cheek Road. 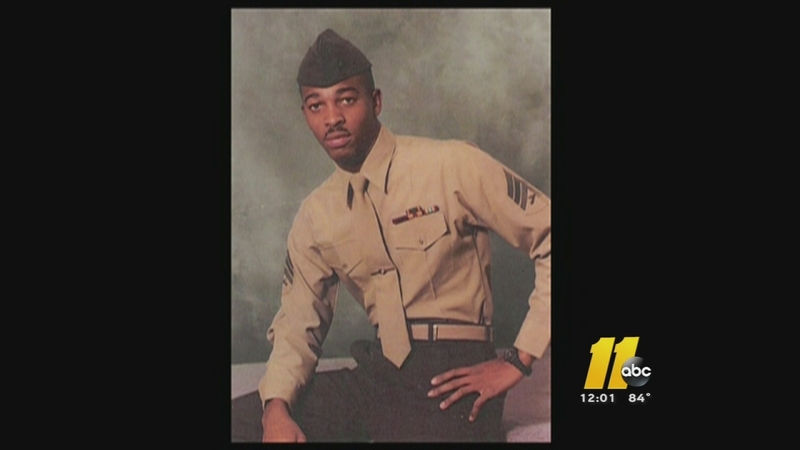 He was a former Marine who residents say was hired to increase security in that neighborhood. Because of him, we're told the property has a security fence and speed bumps. Residents said they felt their children were safer and that Mr. Fred was making a difference. They were shocked to find out they lost him to the very violence he was trying to quash. "It was devastating to see him laying out there like this, the last person I least expected to see," said Aisha Saunders, who lives at the complex and knew Edgerton for years, "Mr. Fred was a good-hearted person - did anything for anybody." Many children live at Oakland Square Apartments and Saunders said Edgerton made it his mission to keep them out of trouble. She said he tutored kids after school, organized summer camps, and even repaired the playground with his own money. At last check with the Durham Police Department, no one has been arrested for Edgerton's murder. If you know anything, you're asked to call Investigator M. Evans at (919)-560-4440, ext. 29336 or Durham CrimeStoppers at (919) 683-1200.